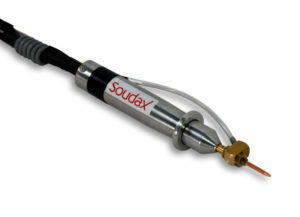 Soudax vacuum welding pens are the leading name for ball tacking applications. You can choose the triggering method and electrode type to weld balls from 0.8 mm to 1.5 mm in diameter. 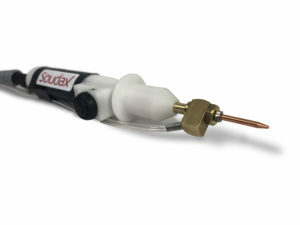 Vacuum system holds a ball at the end of the electrode via a venturi effect. 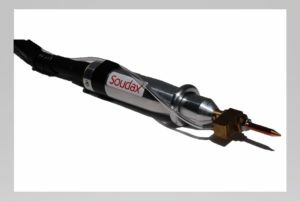 Enables welding on workpieces with complex shapes. Trigger pressure adjustable via a tared spring*.